Curious to know what our favorite Must Try product is for the week???…. WHO IS IT FOR? Anyone who prefers an ultra-dry performance spray with a medium hold that is touchable and long-lasting. WHAT DOES IT DO? Quick-drying hairspray that provides a crunch-free, non-sticky, flexible hold and won’t weigh hair down. 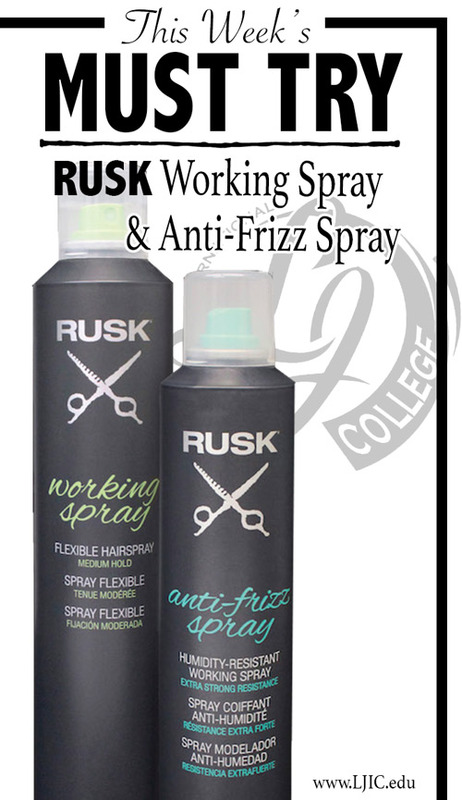 The RUSK® STYLE+STRENGTH COMPLEX™ ensures color and thermal protection while also strengthening hair. HOW DO YOU USE IT? To style: Spray evenly on damp hair and style as desired. 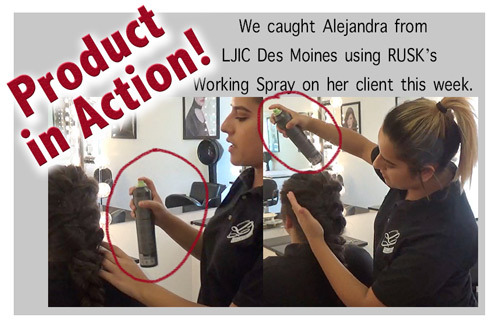 To finish: After achieving desired style, spray over entire head for touchable hold. Reapply as needed. ??And…. Guess what? 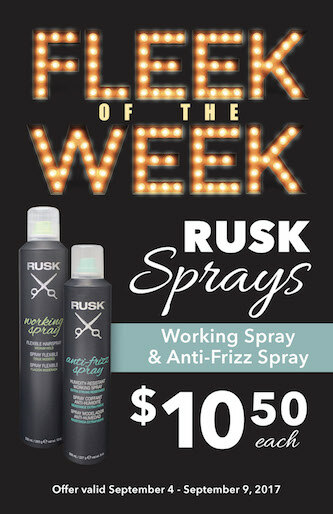 Both products just so happen to be this week’s FLEEK of the WEEK!?? That means, it’s time to visit La’ James International College September 5th-9th to pick up both products for only $10.50 each! Curious to learn what other Hot Specials are going on at La’ James International College? Visit https://ljic.edu/specials/ to see them all!